A charity partnership between two Story companies and Eden Valley Hospice with Jigsaw Children’s Hospice has raised £15,000. 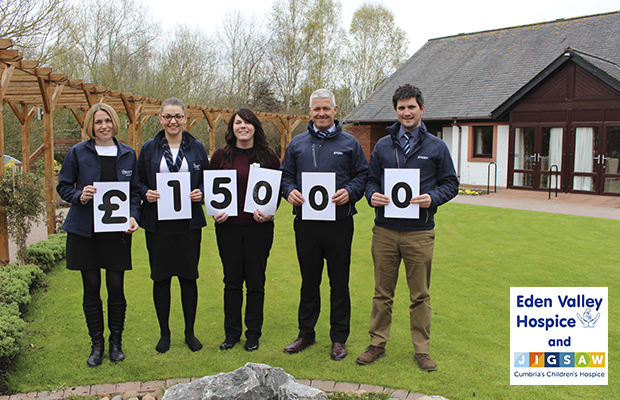 For the past twelve months Story Contracting and Story Homes have been supporting the local hospice and employees have raised the magnificent sum of £15k. From cycling challenges to bake offs, employees have spent the past year not only having fun but also raising funds for a charity which touches people’s hearts and lives. Eden Valley Hospice provides care for adults with life limiting illnesses from North Cumbria. Story Contracting and Story Homes have committed to raising funds with charity partnerships over the last few years, previous local charities include Hospice at Home Carlisle and North Lakes and Carlisle Mencap.